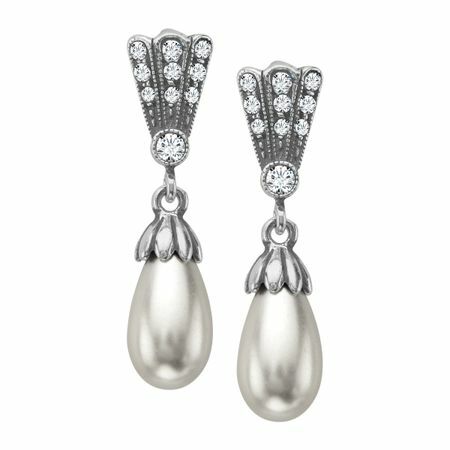 Exquisitely crafted pearl drop earrings for that special occasion or just when you want to look like a celebrity! An artistically vintage piece by Van Kempen that is set in sterling silver and features Swarovski crystals. Pieces measure 1 by 1/2 inches.